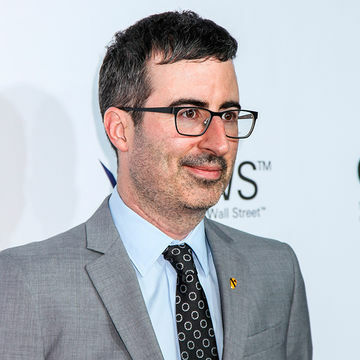 This awesome segment from John Oliver and his show Last Week Tonight calls out U.S. hypocrisy over Mother's Day and the ridiculous lack of paid maternity leave. Want to be fascinated in a terrible way? Let this cold hard fact sink in: Papua New Guinea and the United States are the only countries that don't offer paid maternity leave to their citizens. Amazed and appalled? Related: Is America Finally Giving New Moms a Break? If you really want to fuel your anger, consider this: in France, women get 100 percent of their pay for 16 weeks. In Finland, maternity leave starts 50 days before your due date, and then you get four months once your baby arrives. Australia doesn't have maternity leave—but parental leave instead, meaning either you or your hubby could take up to 18 weeks of paid time with baby. Anyone else looking to move, stat? While American moms find creative ways to spend more time bonding with their newborns without losing their jobs or having to charge their maternity leave on their credit card, we hope that big changes can be made to the laws surrounding childbirth. Let's be real—having a baby isn't a "disability", as most companies categorize it, it's bringing new life to the world. Oliver says it best: "Mothers shouldn't have to stitch together time to recover from childbirth the same way that we plan four-day weekends in Atlantic City."